Hello Friday! Are you ready for the weekend? I AM!! It has been a busy week but I am looking forward to checking up the progress on #ProjectChris in person tomorrow. 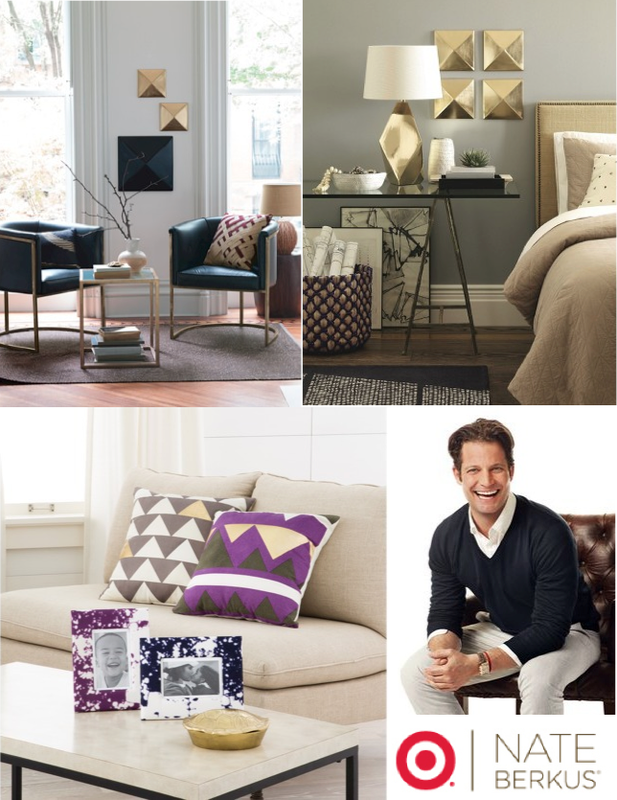 Well, that and some shopping at my favourite Target locations from the fabulous Nate Berkus' Collection. Nate's philosophy on home decoration is to filled it with all things loved, cherished: "The Things That Matter". I admire Nate's approach to design and let's be honest, are you not in love with these beautifully decorated and artfully curated rooms? They are dramatic, decadent, and exquisite. I am insanely in love with that sensational wallpaper, the glamorous brass and chrome accents (I need to have that coffee table!! ), and what a refined, relaxed, and intimate living room to come home to after a hectic day at work. Now that we have seen Nate's work, are you curious to see Nate's home? I bet you do. 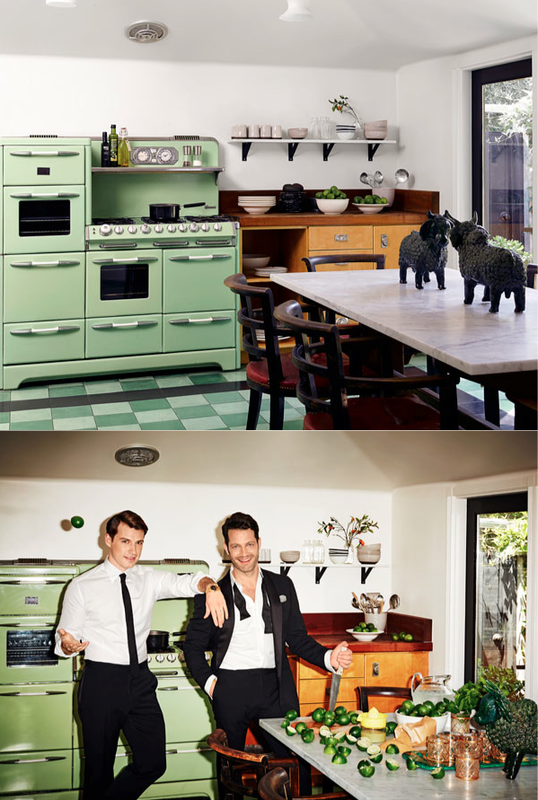 Thanks to Harpers Bazaar, we get to take a quick tour of this fabulous LA home Nate shares with his partner Jeremiah. An "U-Shape" living room maybe challenging to decorate for many of us but not for Nate! 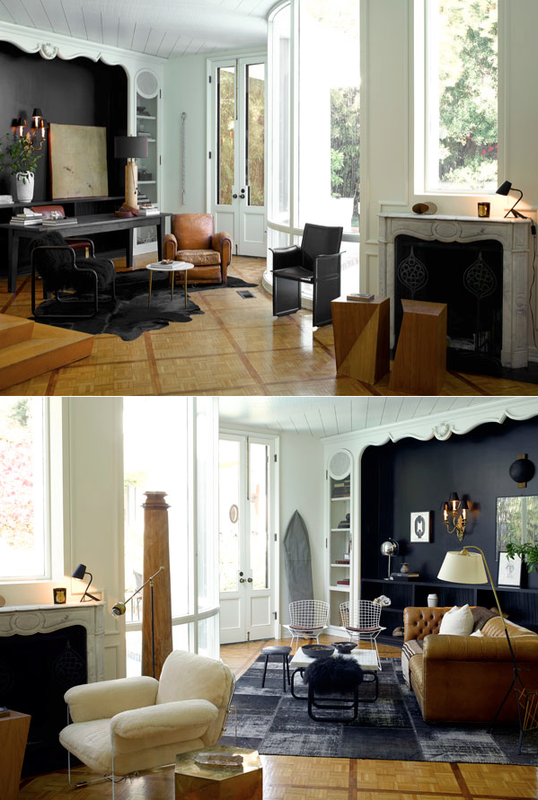 The nooks on either side of the room were painted matte black backdrops. They do not only create a dynamite design feature, the dark colour also creates a sharp contrast to the warm white walls and to disguise the built-in open/closed storage. The wood floor with a diamond pattern, the vintage marble fireplace, the patina on the leather club chair and chesterfield sofa all add tremendous characters, personalities, and souls to this home. Here comes the most personal space of all: the master bedroom + ensuite. You all know I am currently obsessed with lacquered walls … well, now I am dreaming of high gloss ceiling! This master bedroom is so moody and captivating thanks to its dark walls and contrasting luxurious white linens. The mod black and white colour scheme is warmed up by hits of natural wood and brass accents. The kitchen is certainly a lot of fun and full of vintage vibe. Mr. Bright Bazaar, here is a mint kitchen just for you. As for me, I am digging the marble top dining table and inspired by the super chic black & white shelves. For those of us living in spaces with limited square footage, here is how Nate living large in his home in NYC. Are you in love with Nate yet? Many of the items in his home are currently available at Target! I have picked up a few items for #ProjectChris and may just have to make a trip down south to pick up a few more special pieces at incredible prices. 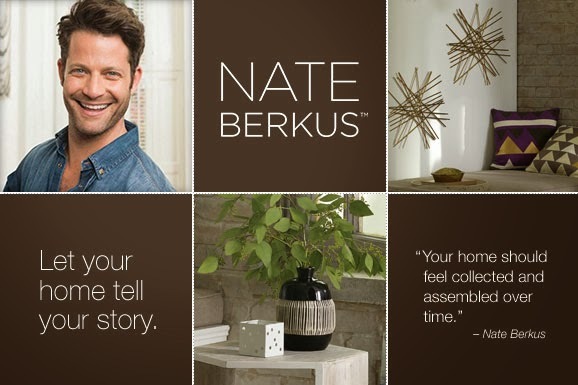 Check out Nate's collection at Target here. 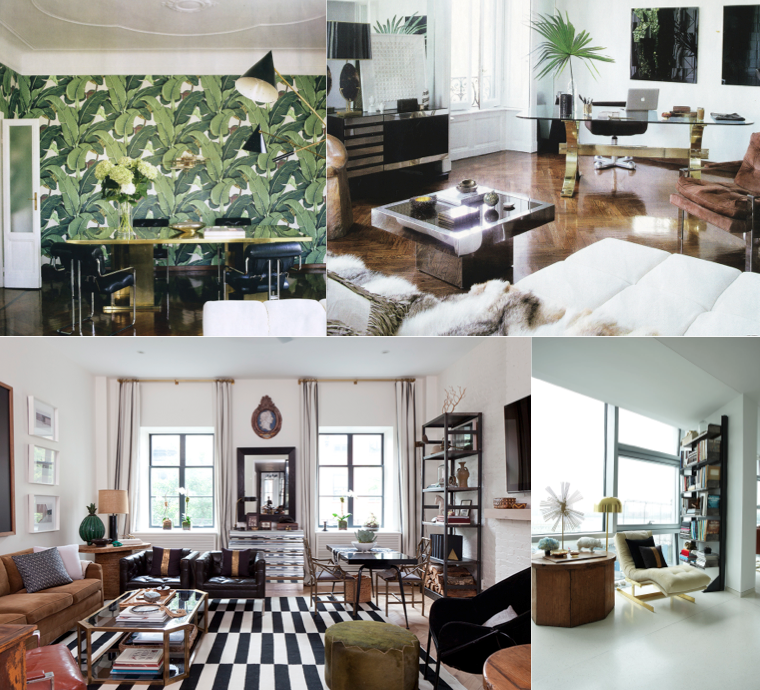 Nate's NYC home looks increds! Loved the video!